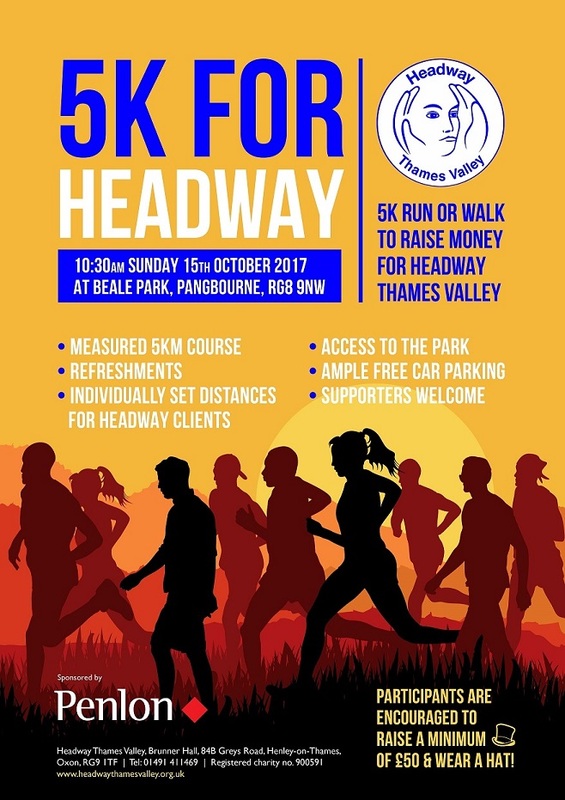 To celebrate the 30th anniversary of Headway Thames Valley, we have organised a 5k and family fun day at Beale Park in Pangbourne. Whether you choose to run or walk this off-road route, you are guaranteed to enjoy the beautiful scenery throughout the grounds of the park. Once the event is over, participants will have free access to the whole of the park (usually £7 for adults and £5 for children). With some of our clients in mind, we are also offering shorter distance walks, individually tailored to each client in our own private space on the day. The day will start with Jemma Barham, a professional personal trainer, leading a warm up before the 5k start time; 11.00am. Complimentary refreshments will be provided upon completion of the 5k and there will also be a cake sale with a prize for best bake! If Headway Thames Valley has helped you or someone you know, this is a fantastic chance to help the charity. We are encouraging all participants to tell people why they are supporting the charity and to raise a minimum of £50. There will be a prize for the top fundraiser! Sign up to take part in the 5k here. To download a sponsorship form, please click here. To set up an online sponsorship page, please click here. Whether you are running or walking the 5k, baking a cake, volunteering on the day or just coming to show your support, make sure you wear a hat for Headway – and don’t forget to encourage your friends and family to get involved!